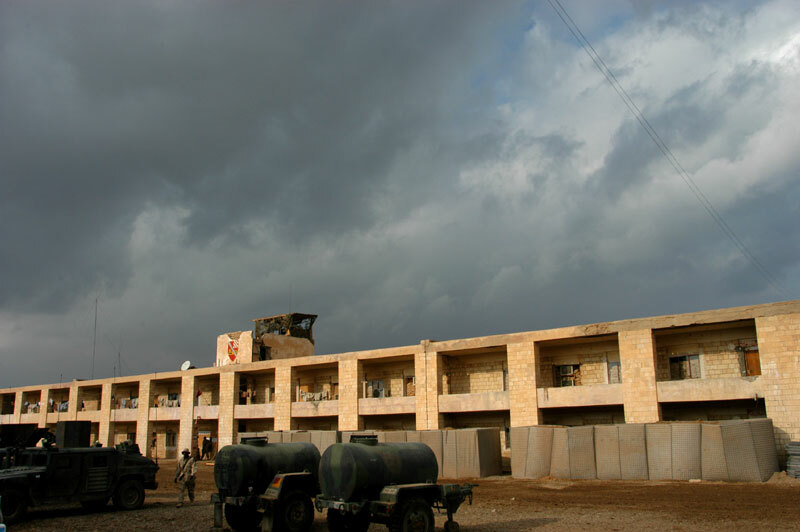 An example of the barracks that Soldiers lived in at Forward Operating Base (FOB) Ramadi. Word was that FOB Ramadi was a former Iraqi Republican Guard base. Before us it had been inhabited by Soldiers from other units. By the end of our tour they were quite livable--Soldiers take seriously their "position improvement." You can also see the famous Hesco barriers in the lower right of the photo--they are nothing more than chain link and some kind of fiber fabric arranged in a box and filled with dirt and rocks. They are pretty effective at providing protection from mortar and rocket impacts, but not always.